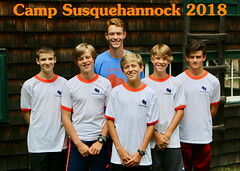 21 Mar #WordsofWisdom from Andrew Hano, Director of Susquehannock for Boys: "Some confidence-building moments happen unexpectedly. 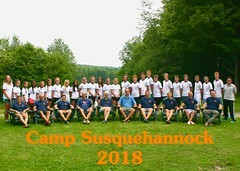 I recently came across an essay I wrote in 1983 at the start of sixth grade following my first summer at Camp Susquehannock… 'The time I liked myself best was… When I was elected overall captain of the orange team at camp, also when I won an award shirt at camp. I got these for being a good athlete and a good sport. Being captain meant accepting a trophy if we won color day, and we did win color day. But Orange didn't win Orange-Blue competition, so we didn’t get a chicken feed. I don't know if I deserved being captain but I sure am glad I got picked. I played my hardest in all the sports, and tried to have a good attitude win or lose. And I had a really fun time.' Thirty-five years later I still remember how surprised I was when these honors were announced. 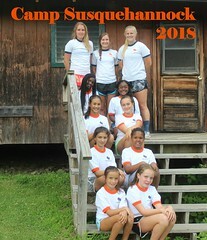 The award shirt no longer fits and Susquehannock no longer holds Color Day, but the confidence I gained from that experience remains with me today. These experiences, expected or unexpected, are part of a camper's self discovery that happens at camp. 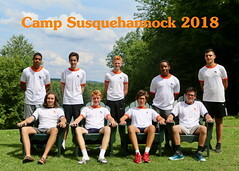 Susquehannock is a multi-sport camp where we teach Basketball, Soccer,Tennis, Swimming, and so on – however – sports are the venue we use to teach life lessons." 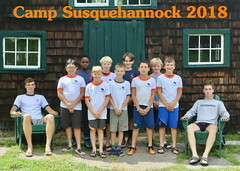 20 Mar Happy belated Birthday @nannerbt_ – Raise a cup of Bug Juice as we salute this real man of Susquehannock! 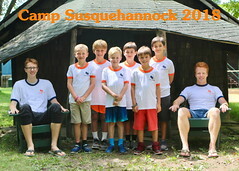 11 Mar HBD @bshafr – Raise a cup of Bug Juice as we salute this real man of Susquehannock!